After Years of Video Failure, Can A P2P CDN Save The Day In 2015? If there is one thing the Super Bowl stream did reinforce, it’s that streaming video technology can’t replace traditional TV distribution, for quality, or scale. 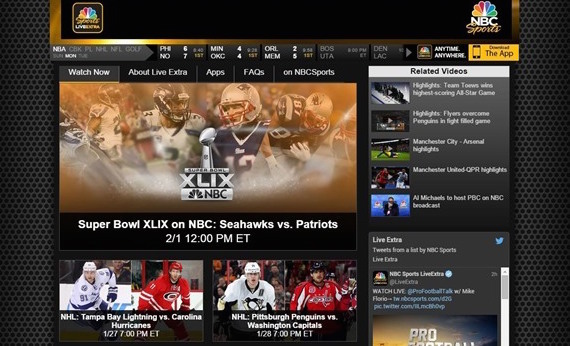 NBC Sports offered live streaming for the 2015 Super Bowl a few weeks ago and reported 1.3 million concurrent viewers at its peak. That is not a crazy level for Akamai, which had significant excess capacity at the time. Yet, the broadcast was still rife with problems. Among the issues viewers faced were buffering, low video and audio quality, stream cut-out and long lag times. As Mr. Rayburn says, “Akamai’s network requires a lot of buffering time.” But are these problems really acceptable for the industry or for Akamai, who has approximately 50% market share? Quite frankly, live video isn’t done well today, and there’s a simple reason, it’s incredibly difficult. Year after year, networks try to broadcast the Super Bowl live, and year after year, the quality of the broadcasts are low. But it’s only going to get harder to do with the addition of higher quality content, like 4K viewing - which transfers four times times more detail to a stream than Full HD - putting a real strain on networks and CDNs. As traditional delivery systems fail to keep up with content, alternative systems seem to be just the disruption viewers need to boost their viewing experience. A hybrid, part HTTP, part P2P CDN solution may be just the thing to solve this problem. While traditional networks use HTTP protocols only to transfer data, P2P CDNs use peer to peer distribution systems. Each of these methods offers pros and cons, but a hybrid HTTP / P2P CDN could solve many live streaming needs. Adding a peer to peer network on top of client-server delivery could improve video and audio quality, increase bit rates, reduce buffering and boost reliability by fetching the content partially from other viewers. While the addition of a P2P CDN might not be able to entirely solve the long lag time issue, it can help there too. At Peer5, we’ve created a hybrid HTTP / P2P CDN that delivers content in-browser thanks in part to WebRTC, which allows for seamless P2P data transfer, with no plugin required. We’ve launched our video platform, with both on demand and live streaming capabilities. To learn more about how to use our P2P CDN to deliver your content, click here.